ELIGIBILITY. No purchase is necessary to enter, and all contests on WBZO (Connoisseur Media, CMLI) are open to legal U.S. residents of the Nassau/Suffolk listening area as defined by Nielsen Audio and who are age 18 or older, unless otherwise specified in contest-specific rules. 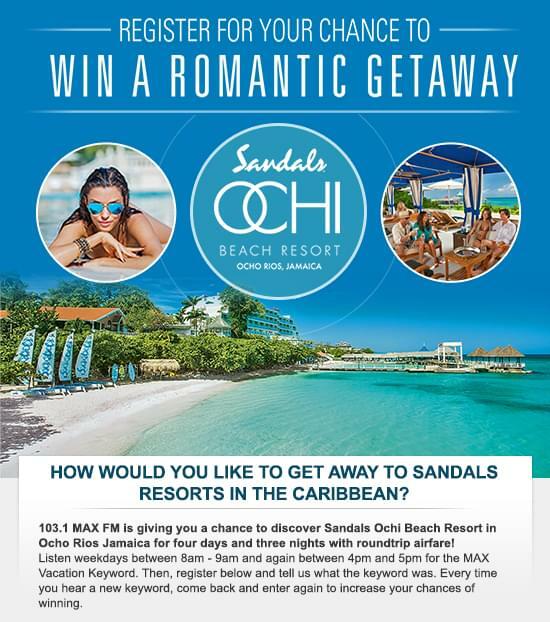 Employees and families of Connoisseur Media, Sandals Resorts, its affiliates, other radio stations, record companies, and participating sponsors and their affiliates are not eligible. GENERAL: By participating, entrants agree (a) to the Official Rules and to the decisions of the station and its agents (including Sandals Resorts), which decisions shall be final in all matters relating to this Contest; (b) if their name is selected as a winner, to the announcement on-air of their name and, if it is determined by sponsor to confirm their winning in-person, to having such confirmation taped, filmed and recorded for use on air or in any other media; (c) to release, discharge and hold harmless the station, CMLI, and SANDALS RESORTS, their subsidiaries and affiliates and their respective directors, employees and agents from any liability, claims, losses, damages and injuries arising directly or indirectly, in whole or in part, from their participation in the Contest and the acceptance and use of a prize; and (d) that the station, CMLI and SANDALS RESORTS, their subsidiaries and affiliates and their respective directors, employees and agents are not responsible for any error, omission, interruption, deletion, malfunction, defect or delay of any kind in telephone calls, radio transmissions or on-line or internet submissions or for the failure of the station or CMLI to receive telephone calls for any reason, or for any computer or software malfunction of any kind affecting the proper execution of this Contest or for late, lost, illegible or damaged mail or entries. Sponsor reserves the right, in its sole discretion, to cancel or terminate the Contest in its entirety or partially should it become technically corrupted for any reason or because of non-authorized human intervention. CMLI, the station, and SANDALS RESORTS are not responsible for typographical or other technical or administrative errors in the printing, the offering or the administration of the Contest, or in the announcement of a prize. Contest rules subject to change without written advance notice. GENERAL PRIZE INFORMATION. One winner per household per sixty (60) days. Winners of prizes valued at more than six hundred dollars ($600) must wait a total of six (6) months before becoming eligible to win additional prizes from WBZO. Qualifiers must reside or be employed within the geographic listening area of WBZO as defined by Nielsen. Prize winners must present valid identification and proof of age to claim prize. Winner is subject to state, local, and federal taxes where applicable. If for any reason the winner is unable to utilize the prize on the dates given, subsequent draws will be made until a qualified winner is drawn. Prizes are non-transferable, and no substitute prizes will be awarded under any circumstances. Prizes may not be substituted or redeemed for cash. Prizes may be claimed at least twenty-four (24) hours after winning, and within thirty (30) days, at 234 Airport Plaza Boulevard, Suite 5, Farmingdale, NY 11735. Pick-up hours are Business Days, Monday through Friday, 9am to 5pm. In the event of any disagreement regarding contestants, winners or qualification of winners, or adequacy or value of the prize, the decision of Connoisseur Media shall remain final. All prizes will be awarded. Prize winners must sign hold harmless and indemnity agreement, agreeing to hold WBZO, its licensee(s), and the officers, shareholders, directors, employees, agents, and representatives of each of them harmless against any and all claims of liability arising directly or indirectly from the prize or contest. Void where prohibited. RELEASE. By entering a contest on WBZO, each participant in the contest, including all winners, acknowledge that WBZO, Connoisseur Media and, will have the right to reproduce, publicize, and broadcast his or her name, photo, likeness, email, telephone number, and all matters incidental thereto without compensation. Anytime the on-air studio is called, it is assumed by the caller that the phone call is being recorded and may be broadcast. The caller grants permission to WBZO to broadcast the call or record the call for later broadcast. PRIZE AWARD: All prize(s) must be accepted as awarded. All prize(s) are non-transferable. Inability to accept or deliver a prize within thirty days of its award will result in the forfeiture of that prize. Each winner must provide station with valid identification and a valid taxpayer identification number or social security number before any prize will be awarded. Failure to timely provide such information and/or any other reasonably required documentation including, without limitation, a release and affidavit of eligibility, may result in a delay in receiving prize(s) or the forfeiture thereof. Entrants are required to provide truthful information and station will reject and delete any entry that it discovers to be false or fraudulent. Station will disqualify any entry from individuals who do not meet eligibility requirements. Any person winning in excess of Six Hundred Dollars and 00/100 ($600.00) or receiving anything with a value of Six Hundred Dollars ($600.00) or more from the station or any affiliated radio station in any contest, including this Contest, as determined by CMLI in its sole discretion, will receive an IRS Form 1099 at the end of the calendar year, and a copy of the 1099 will be filed with the IRS. Each winner shall be solely responsible for paying any and all applicable Federal, State, local or other taxes. This includes prizes, if applicable, for travel, lodging, entertainment, special events, automobiles, or any other thing of value. By participating, all participants and winner(s) grant the station and CMLI the permission to use their names, characters, photographs, voices and likeness in connection with the promotion (via print, broadcast or other forms of media) of this and other contests and waive any claims to royalty, right, compensation or remuneration for such use. By calling the contest lines, participant acknowledges that their voice(s) and name(s) may be recorded and used for broadcast or other promotional purposes. TELEPHONE EQUIPMENT: Participants are restricted to the use of ordinary telephone equipment. Participants that enable the “Caller ID” block function may not be allowed to participate unless they enter their correct area code and telephone number. CMLI, and the station disclaim all liability for the inability of a participant to complete or continue a telephone call due to equipment malfunction, busy lines, inadvertent disconnections, mis-dial or misdirected calls, acts beyond the sponsor’s or station’s control, or otherwise. CMLI, and the station disclaim all liability for any delays, mis-delivery, loss or failure in the delivery of any item sent by mail, courier, express, electronic transmission or other delivery method. CMLI, and the station are not responsible for mechanical, technical, electronic, communications, telephone, computer, hardware or software malfunctions or failures of any kind, including: failed, incomplete, garbled or delayed transmission of online entries, traffic congestion on telephone lines, the Internet or at any website or lost or unavailable network connections which may limit an online entrant’s ability to participate in the Contest, and any injury or damage to entrant’s or any other person’s computer related to or resulting from participating in or downloading any information necessary to participate in this Contest. ODDS: Odds of winning depend on the number of participants and number of entries. CONTEST-SPECIFIC RULES: All rules specific to individual contests are created by WBZO Management, and its legal counsel if necessary. The decision of Connoisseur Media management with regard to rules, specifications, qualifiers, winners, and prizes, is final. Listen to WBZO 103.1 MAX FM starting March 11, 2019 through March 22, 2019 weekdays between 8am-9am to 4pm-5pm for the MAX VACATION KEYWORD. There will be two daily MAX VACATION KEYWORDS (10 per week, 20 for the duration of the contest). After you hear the MAX VACATION KEYWORD visit 1031maxfm.com and register current keyword for one entry. You may submit one entry per keyword (total of 20 entries). Each MAX VACATION KEYWORD will be announced by the 103.1 MAX FM announcer. One Grand Prize will be selected by random on or around 3/22/19. 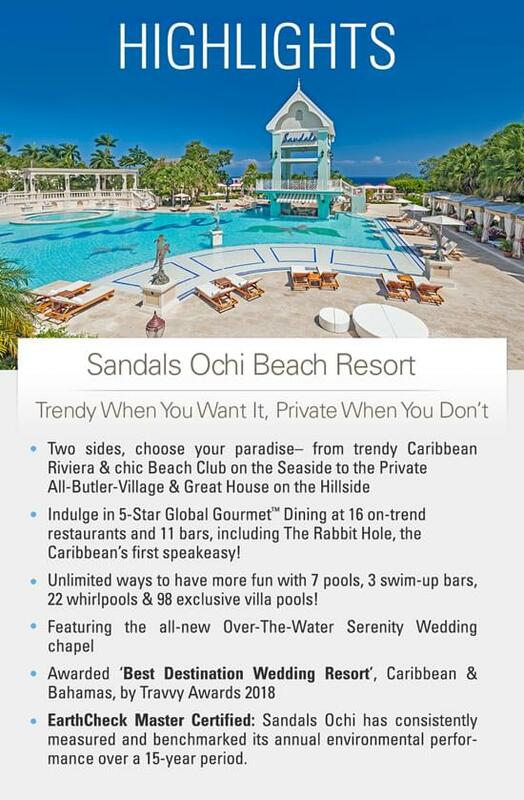 These are the official contest rules of WBZO in partnership with SANDALS RESORTS. These rules may be subject to change without notice if necessary to comply with the Telecommunications Act of 1996, rules and regulations of the FCC, or any applicable law. Prize Description, Terms, and Conditions Unique Travel, Corp. the worldwide representatives of Sandals & Beaches Resorts will provide: One (1) four-day/three-night Luxury Included® Vacations for two (2) adults to any of the sixteen Sandals Resorts listed below, with locations in Jamaica, Antigua, Saint Lucia, The Bahamas, Barbados & Grenada with round-trip coach airfare for two (2) on an airline sponsor. 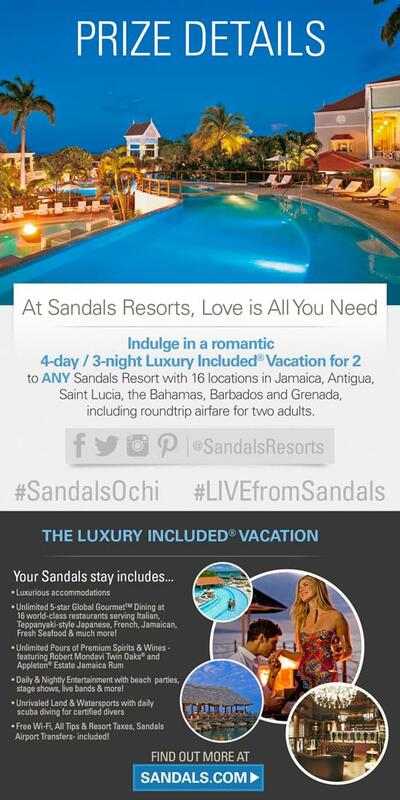 Sandals Resorts is a Luxury Included® resort destination. Therefore the provided prizes will each include luxurious accommodations (one (1) room, double occupancy, king-sized bed), all meals, unlimited premium brand beverages, daily & nightly entertainment, all land and water sports, including daily SCUBA diving (for certified divers), snorkeling, Wi-Fi in all rooms and public areas, gratuities, resort taxes and Sandals transfers to and from the resort designated airport. Telephone calls, Premium Wi-Fi, Red Lane® Spa treatments and services, specialty dining, tours & excursions, inter-island transportation, SCUBA certification courses, island departure taxes and purchases made at the Sandals Specialty Shops are not included. Round-trip coach airfare for two (2) provided by Unique Travel, Corp. is valid to/from the nearest major U.S. gateway to resort designated airport. The tickets are valid until March 22nd, 2020 and are subject to availability and black-out periods (black-out dates to be determined). Flights will be on mutually approved dates. Winner and guest must travel on the same itinerary, originating from the same airport. Flights and airlines are subject to change and availability. Restrictions and blackout dates may apply.